The "G. Caporale" IZSAM (Istituto Zooprofilattico Sperimentale Abruzzo e Molise) participated in the "WHO workshop to define and discuss options for developing laboratory information management systems for public health laboratories", which was held on October 7th and 8th 2013 at the WHO (World Health Organization) office in Lyon, France. 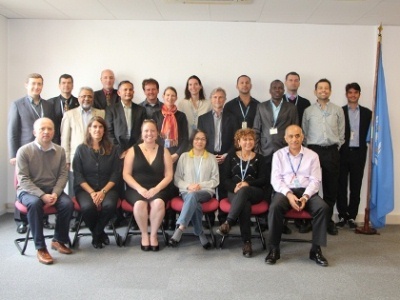 Many representatives attended the meeting from WHO in Lyon and from other places in the world, such as: Europe, the Eastern Mediterranean, North America and South America, the Western Pacific and Cambodia. Moreover, there were also present representatives of Human Healthcare (from Kenya, Vietnam and Boston), Universities (Oxford and Sydney) and Associations (the Association of Health Laboratories and the Merieux Foundation). The Veterinary Public Health was represented by FAO (Food and Agriculture Organization), whose delegate was Mrs. Patrizia Colangeli on behalf of IZSAM. The main purpose of the meeting was to examine and discuss the options for the development and the distribution of Informative Systems for diagnostic laboratories (LIMS) in countries with limited resources. During the meeting, the SILAB project for Africa was presented, in which the IZSAM developed a LIMS that currently includes installations in 5 African countries (Namibia, Botswana, Zambia, Zimbabwe and Tanzania), two of which were also founded by FAO.